The 'neutral' stand taken by the Central Government in Navtej Singh Johar case regarding the validity of Section 377 IPC did not impress the Supreme Court much. In his separate judgment, Justice D Y Chandrachud expressed disappointment over the Centre's lack of position in the matter. The Central Government had filed an affidavit in the matter stating that "it leaves the matter to the wisdom of the Court". According to Justice Chandrachud, this meant that the government had no view of its own on the subject. ASG Thushar Mehta, appearing for the Central Government, further requested that the Court should confine itself to the issue whether homosexuality should be criminalised, eschewing consideration of issues regarding civil rights of sexual minorities. "We would have appreciated a categorical statement of position by the government, setting out its views on the validity of Section 377 and on the correctness of Koushal. The ambivalence of the government does not obviate the necessity for a judgment on the issues raised. 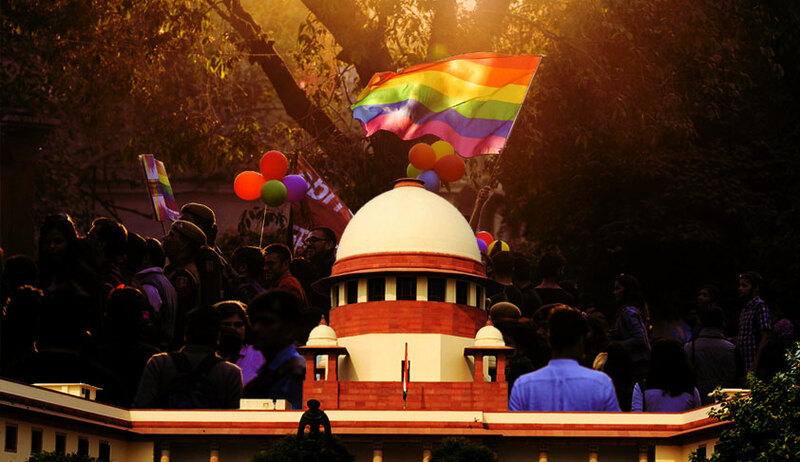 The challenge to the constitutional validity of Section 377 must squarely be addressed in this proceeding. That is plainly the duty of the Court. Constitutional issues are not decided on concession", Justice Chandrachud said in his judgment. In the context of Government wholly abdicating its position in favour of the 'wisdom of the Court',Justice Chandrachud remarked that Court should not forget that 'flattery is the graveyard of the gullible'. Yesterday, while speaking at the National Law University Delhi on the topic"Rule of Law in Constitutional Democracy", at the 19th Annual Bodh Raj Sawhny Memorial Oration 2018 ,he said "Why do politicians sometimes hand over power to judges and we see that happening in the Supreme Court everyday. We saw that in 377 where the government told us that we are leaving this to the wisdom of the court and this 'wisdom of the court' was too enticing a principle for me not to respond so I responded in my judgment the other day"
It is also notable that Justice R F Nariman has issued a direction to the Central Government to give wide publicity to the judgment to remove stigma associated with sexual minorities. There is also a direction to give periodic training to government officers to sensitise them about the situation of sexual minorities. "We are also of the view that the Union of India shall take all measures to ensure that this judgment is given wide publicity through the public media, which includes television, radio, print and online media at regular intervals, and initiate programs to reduce and finally eliminate the stigma associated with such persons. Above all, all government officials, including and in particular police officials, and other officers of the Union of India and the States, be given periodic sensitization and awareness training of the plight of such persons in the light of the observations contained in this judgment", Justice Nariman noted in the concluding paragraph of his judgment. It can be hoped that the Government will show commitment to the cause of sexual minorities by complying with this directive of the Court at the earliest, though no steps to publicize the judgment were seen taken in the last three days after the judgment.